My next suggestion is to ‘up your game’. Are you tired of people sneaking up behind you and stabbing you in the back? Are you tired of people planting the bomb beneath your nose? Well I say no more! 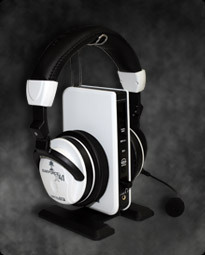 With these Turtle Beaches you can shoot the backstabber and kill the bomb planter! No more shall you go negative. The Turtle Beach X11’s are a good place to start for a medium budget (about £50) they are wired, which can occasionally get tangled. They have an amplifier to control game volume and chat volume, you don’t have to listen to the squeaky little boy anymore. It plays your voice back to you, so you won’t scream again! 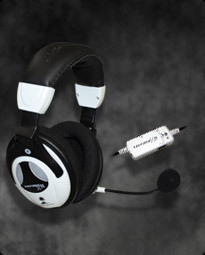 The Turtle Beach X41’s are for the bigger budget (£150) but they are wireless, which means the headset runs on batteries.It has all the same other features as the X11’s. The wireless transmitter has a range of 30 feet. These will really help you! You will be amazed of how amazing the sound is! Good luck!